PEPSI STORE-AND-POUR PROMOTIONS & P.O.S. The constant challenge? 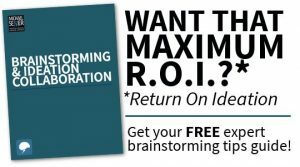 To win the “battle in the aisles” – and in restaurants — between the two soft drink powerhouses, PepsiCo and Coca-Cola, by developing ever-more creative and clutter-cutting promotion and point-of-purchase solutions. 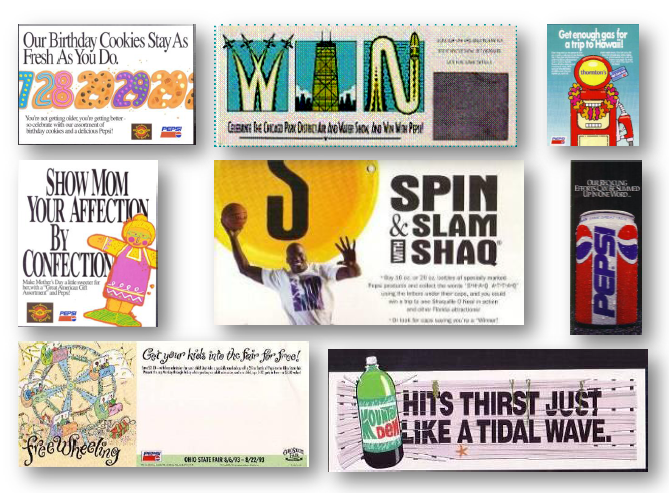 There are just a few of the literally hundreds of promotions I developed for Pepsi’s bottlers and accounts nationwide. We coupled dynamic, clutter-cutting in-store and on-pack creative with sales-driving offers to help beat back all challenges in grocery and convenience store channels, but also in gaining ground as the official “pour” at restaurants, theme parks, sports venues and other locations. It was an invaluable lesson not just in sales promotion and marketing, but in how to maintain a thorough and systematic approach to superior creative and account service. Tracy-Locke had already been serving the business for many years by the time I showed up, and had a well-designed process modeled around the client’s business. I even got to work on this one, back in the day when clear was the rage. Clear soda! Clear beer! Yikes.